Our fly fishing guides offer fly fishing trips throughout scenic Rocky Mountain National Park and the surrounding areas. Each fly fishing guide is friendly, knowledgeable, and will ensure that you have an exciting and memorable adventure. All of our fishing vacations are tailored to each customer’s preference. We guide each of our fly fishing trips to drive-up spots, easily accessible locations via a short hike, or backpacking adventures to high mountain lakes and streams. We even offer fly fishing adventures that include pack llamas, overnight backpacking, etc… Just tell us what you are looking for, and we will make it happen! All trips are guaranteed to catch fish! All of the necessary gear is included in trip cost: Rod, reel, waders and flies! Plus transportation to and from the shop, a snack on the 4 hour, and lunch on the 6 and 8 hour! A 50% deposit is required to book the trip. Balance is due on day of the trip.We sell Colorado fishing licenses! Rod, Reels, Waders and Flies included on all trips! We can accommodate groups of any size. Your trip will not be combined with another group. Your trip will have your own guide and will be tailored to your group’s individual preferences.There are no age limitations and no required level of expertise. Anyone is welcome! 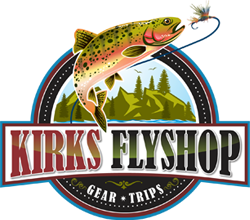 All Trips include all necessary fly fishing gear (rod, reel, waders and flies), transportation to and from the shop and a friendly, knowledable guide. The 4 hour trip includes a snack and drink, and the 6 and 8 hour trips include a hearty lunch. Only Additional Cost is a CO fishing license. Gratuity Not Included. Or Call (877) 669-1859 to Reserve By Phone!